Have you ever had someone yell at you, “I sunk your Battleship!” before? Well if not, I’m afraid that this isn’t said in the actual game. I remember enjoying the film to a decent extent so I was pleased to start Battleship to see if the game would still be really solid. Alex Hopper would not be returning this time, but that’s fine since the plot is fairly minimal in this title anyway. The gameplay needs to be the selling point here. Battleship’s a first person shooter and while I like the gameplay style nowadays, it’s definitely not one that I tend to excel in. Normal mode provides me with a considerable level of difficulty so beating it on hard mode would be verrrry tough. Aliens have invaded the planet so the marines are Earth’s best chance to stop them. It’ll be tricky and it’ll be dicey, but the main character has to pull this off. I forgot the name of the hero and I forgot the location (Hawaii islands I think) almost immediately but that’s all right. As I mentioned earlier, the plot simply isn’t that important. The whole game is filled with your boss talking about the communicator about the current situation and what you have to do, but it’s all fairly generic. You know that you have to take down the aliens and save the world. Don’t need to know much more than that to have a good time right? 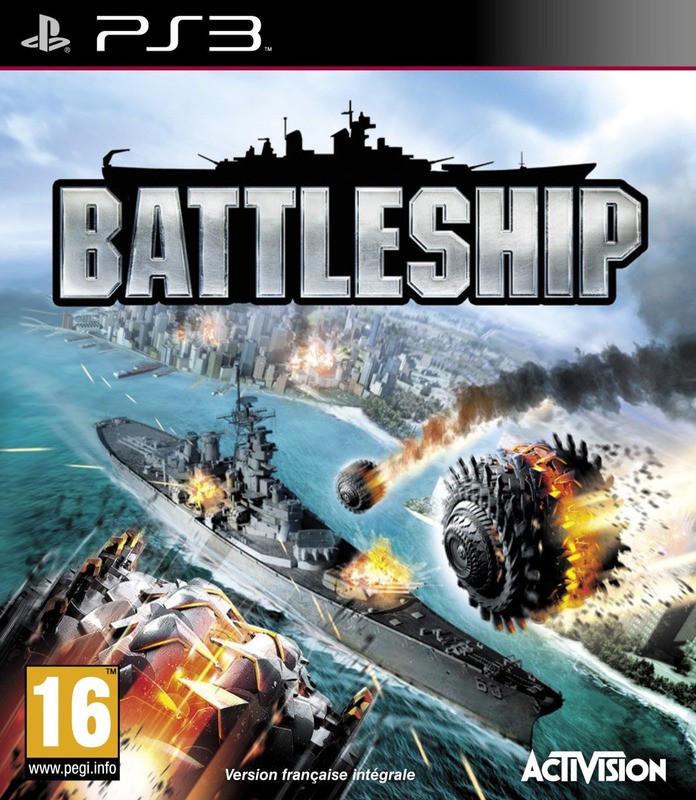 The important part of the game is the gameplay of course and I’d say that Battleship succeeds in this area. It’s hard to really describe a first person shooter since it’s very self-explanatory. Point and shoot at the aliens, you don’t really need to know much more than that. FPS fans claim that the game is ultra easy and you can beat it on Hard Mode right off the bat. Don’t listen to them unless you are good at this genre. I’m not so normal mode made for a very good challenge and some levels took me well over an hour to finally complete. It was very satisfying to finally clear the level though. So, the game succeeded quite well with the core gameplay. I do think that a cursor should always be on though since it makes shooting so much easier. It’s pretty sad to be firing at an alien with point blank range..only to keep on missing the shots. That just doesn’t seem right and you could tell that this wouldn’t happen in Call of Duty. Your jumping skills in the game are terrible and I forgot that I could jump for most of the game, but it’s not really a negative since jumping is never really necessary. Crouching was really handy and I highly recommend performing that action when engaged in a battle. Hiding behind rocks a lot of the time is also a good thing to do and it’ll make you feel like you’re in a classic Star Trek episode. If you’re feeling particularly bold, it’s fun to run into a group of enemies with your machine guns, but sometimes you’ll just end up dying right away. The part of the gameplay that wasn’t so good was the actual Battleship mode. While fighting the enemies on the ground, you have battleships, which are fighting the enemy cruisers. They can’t do much without you so you have to enter the Battleship view and direct the Battleships on where to go and who to fight. It can get a little tedious with the loading times and sometimes you can control a Battleship with an item to really land some damage. It’s easy to beat the enemies, but…too easy. The final boss just involves you jumping into the Battleship and firing some of your lasers until it goes down. You don’t need to move, just spam L2, R2, and L1. It’s how you attack and moving is not necessary. It’s just not as fun as it should have been and that part of the game could have easily been cut out. Actually controlling the ship in a mode with more free roam could have been awesome. I can’t say that the graphics are groundbreaking and they just aren’t very good. They’re not that bad and the game is fairly new so we’re not talking FFVII here, but it’s telling that the aliens actually look like humans throughout the whole game. It’s very easy to be striking one of your allies instead of an alien when the going gets tough. This isn’t a huge issue since your allies are typically knocked off as soon as possible, but the aliens should have had a better design and the graphics should have been able to make them stand out more. The enemies also sorta bleed when you blow them up, which is intriguing since the game officially has no blood. Contradictions like that have shown up in other games though and I’m guessing it wasn’t listed since it’s fairly mild and it’s basically monster blood. Still, it’s an area that the ESRB doesn’t have a lot of consistency with. Battleship’s soundtrack is mostly nonexistent for large chunks of time, but it can be quite enjoyable. I remember that the beginning of the game was pretty epic although the soundtrack only played a small part in that. It’s not bad, but the themes also aren’t memorable so you will forget all about them in a very short period of time. I can’t say that I expected an all star selection of musical themes though so I was not disappointed. Between the soundtrack and the graphics, Battleship did manage to be pretty epic though. The first level is actually very thrilling and tense as the game throws you into the action and the aliens begin their conquest of Earth. You would not suspect that the game was a movie cash in at first and you can easily get invested into the mission of stopping the aliens. The graphics and gameplay will eventually tip you off to the fact that this game isn’t exactly AAA, but it did put up a good front. The game loses its intrigue and mystery after the first level, but it was a great way to start off the game. Each level should take you 30-60 minutes and some can last for even longer periods of time if you keep on dying. Luckily, some enemies tend to stay dead even after you die, which can help quite a bit. Just remember to take it slow sometimes and to pick off the opposing forces one at a time. There are around 8 levels, so the game length is decent. That being said, there’s not a whole lot of replay value to be found here unless you are planning to get the Platinum trophy. That will buy you some time, not a whole lot, but it will double the game’s length at the very least. Overall, Battleship is a fun game and it’s definitely an FPS that I would recommend. It’s naturally not as polished as some of the other FPS titles, but it holds its own and who doesn’t want to go up against the big bad aliens? 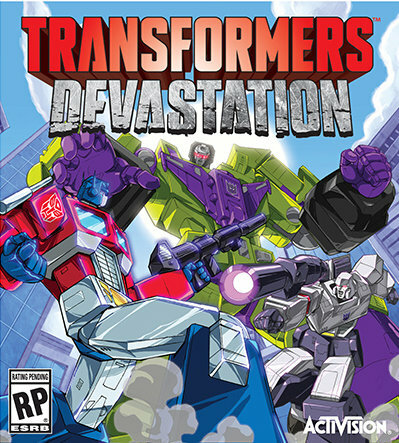 Beating the game on hard mode would certainly be a little impressive and I definitely wouldn’t mind a sequel for this game. It’d be a blast and hopefully the price would also go down pretty quickly as this one definitely goes for a bargain price nowadays. You can always find something good in the bargain bin! GI Joe is one of those games that you really can’t help, but check out. It’s the very definition of a movie tie in as it has everything that you would expect one to have. I think that one of the ways that you can tell whether a game is big budget or not is the little things. As a whole, this game may look like any other overhead shooter, but it’s the small things that keep it from reaching the heights of other great shooters. No matter, it is still a pretty fun game and one that definitely gives you your money’s worth. The Joes have captured Baroness and the Cobra organization appears to be gone for good. Everything is right in the world until they are attacked and Baroness escapes. It appears that Cobra may not be dead after all and they are using their new teleportation technology to create a lot of havoc. Duke is going to have to go back on the field with the other Joes to stop the enemies from gaining ground. The only question on everyone’s minds is…”Can Cobra really be back?” Time to find out! There are 20 levels to be found here, which is a pretty reasonable amount. The levels are long enough so that they can’t be called short while not being nearly as long as a War for Cybertron or Shattered Dimensions stage. I’d say that they’re juuust right if you ask me. The levels are pretty repetitive as you go on, but the actual gameplay is always fun so I wouldn’t really count that as a negative. The gameplay is similar to Centipede Infestation or Alien Syndrome. It’s overhead, but close enough to the ground where it can almost feel 3D. You won’t realize that it is overhead until you are done…or that is typically the case anyway. You take out your guns and try to quickly destroy all of the enemies who are in your way. Typically, your objective will be to destroy certain objects along your way to the end. This means that you can actually skip a lot of the enemies if you really don’t want to bother facing them. I do recommend fighting them since it’ll help you earn points to get more badges, but it’s your call. Beating the levels on casual difficulty will let you quickly get through them, but you will not be able to get 5 star ranks that way so it’s a double edged sword. The gameplay never gets old and it’s a lot of fun to just blast everyone in your way. You’ll rarely need to resort to hand to hand combat, but it can be fun to use once in a while as a change up. Graphically, the game definitely doesn’t impress. The facial expressions can definitely look pretty bad, but it can be in a humorous way so I can’t really fault it. It’s pretty sub standard for a PS3 game, but I didn’t expect anything more than that. The graphics still look pretty good during the gameplay, which is what counts. No frills or extra things to polish up the graphics, but that’s all right. The soundtrack can be a little uneven as some themes are just really loud. Notably the “Go Joe” theme that plays when you activate your power up. Mixed in with the sound of your gun constantly firing, you’ll be tempted to lower the volume. The stage themes are pretty unmemorable, but they aren’t bad. The characters can sound pretty intriguing though and Cobra Commander is the best example of this. The writers definitely are not familiar with his character since he sounds nothing like the villain that we’re used too. He’s constantly losing his cool and shrieking. The Commander doesn’t even try to keep up a tough facade as he panics when the Joes break in. It’s tough for his fans to watch, but you will likely get a good chuckle out of him. GI Joe definitely shines when it comes to the Replay Value aspect. There are 130 emblems to get, which will take you some time since getting 5 stars on every stage is truly a feat. You will need to find several collectibles in each level which can be tough and let’s not forget the trophies. They’re all pretty fair and while they can be time consuming, none of them feel cheap. If you really want to get the Platinum in this game, I’m confident that you will be able too. I’ve thought about it and I may get it at some point, but I’ll settle for obtaining most of the trophies for now. The ending to the game is pretty unsatisfying though. First of all, there is no final boss. That’s pretty discouraging since each world had a final boss aside from the last one. Instead of fighting Cobra Commander, we got to fight a few generators that some minions were protecting. The game also plays it a little too safe with the story and all of the villains end up getting away aside from Baroness. That means that we go right back to the status quo from the beginning of the game where this was the case…..a bit lazy if you ask me. Now, I mentioned that it’s the little things that separate this from a high budget shooter. One example of this is naturally the minor glitches. Nothing major luckily, but sometimes your gun will just go through an opponent and you’ll need to stop shooting and quickly start again. That’s not terrible and it’s quite rare, but it’s a little thing. Camera angles can be tricky and it’s easy to get lost in some of the levels. The gameplay is a lot of fun, but it’s not very deep so you really need to enjoy it or you will definitely find it repetitive. I recommend always choosing Heavy Duty since he has the best super attack in the game. 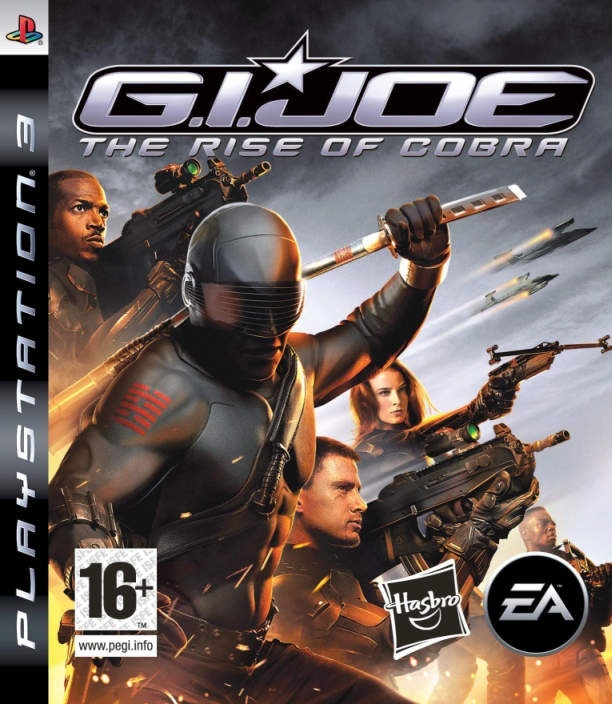 Overall, GI Joe The Rise of Cobra is a pretty fun PS3 game. It won’t be winning any awards in the near future, but it’s the kind of game that really goes by quickly. You’ll never feel bored as you tackle the Cobra agents and the plot is decently engaging. I’m glad that we do get actual cutscenes so the game definitely didn’t skip out on the budget. At 20 levels, it’s definitely long enough for you to spend a few days on it and more if you want the Platinum. I recommend this to all action fans who own a PS3. After all these years, Digimon has finally gotten itself another fighting game. I had a lot of fun back in the day playing Rumble Arena 2 and I just barely missed out on the original one. This is essentially the Rumble Arena 3 that we’ve been waiting for all these years and it’s definitely worth it. The game didn’t get a whole lot of publicity before it came out so hopefully the sales are still strong since this could be the start of a new series! The game actually has a small plot. It’s not much of a story, but it certainly beats not having one. Essentially, a tournament is starting and a lot of Digimon want to enter it to win. They don’t know exactly why they want to enter…it’s almost like it’s destiny! They follow their primal instincts and quickly get ready for the fight of their life, but is there something more to this tournament? Then you pick the fighter that you want to play as and you’re set. I naturally played the game with Agumon the first time around, but I’ll beat it with everyone at some point for that shiny Platinum trophy! The roster is pretty small considering that it’s a PS3 game. I think they definitely could have doubled or tripled the character selection, but with a limited budget I suppose that it would have been difficult. What would have helped is if they let some of the Mega Level Digimon be playable from the Get Go. I have unlocked all of the characters except for 3 starters and I do not have access to nearly any of the alternate Mega Digimon. Those will likely pop up along the way in the Story Mode paths. Counting all of those figures, the roster looks a lot better. The gameplay is like Rumble Arena, but it’s in 3D. I suppose that you can picture Naruto Ninja Storm as an example. It’s a 3D playing field and you have your standard attacks, power attacks, and your projectiles. You can mix and match to make various combos and the goal is typically to defeat your opponent. (Although other modes feature games like capturing the flag so vary up the action) Once your meter is charged you can transform into an immensely powerful Mega Digimon. Once you’re in that form, you’re basically ready to rock and roll! There are also items of course and they can really change the course of a battle. One of the items makes a twister form around the player. Another one lets you turn the opponent into a ball of living slime and the best item in the game allows you to instantly Digivolve. You cannot begin to compare that to any of the other items because it is so great. A thunderbolt is probably the second best item as it does some serious damage and it also stuns the opponent. It’s like a double effect for the price of one! Surprisingly, the game actually goes up to 4 players. I don’t know many people who actually have 4 remotes, but it’s great that we are actually given the option. It’s certainly something to consider and I do have 3 remotes over here so at least I can go almost all the way. Every fighting game gets more and more fun as you increase the amount of players. It’s just common video game logic! Things get more chaotic and it will definitely test your mastery over the game. The computer A.I. is decent, but it’s not great. You should be able to crush the hard difficulty level with ease after a handful of battles. Ah well, that’s not so bad since we have multiplayer mode and the computer is not downright easy either. I’m sure that a case can be made for it being just right. The graphics are very bright and it works pretty well for the game. 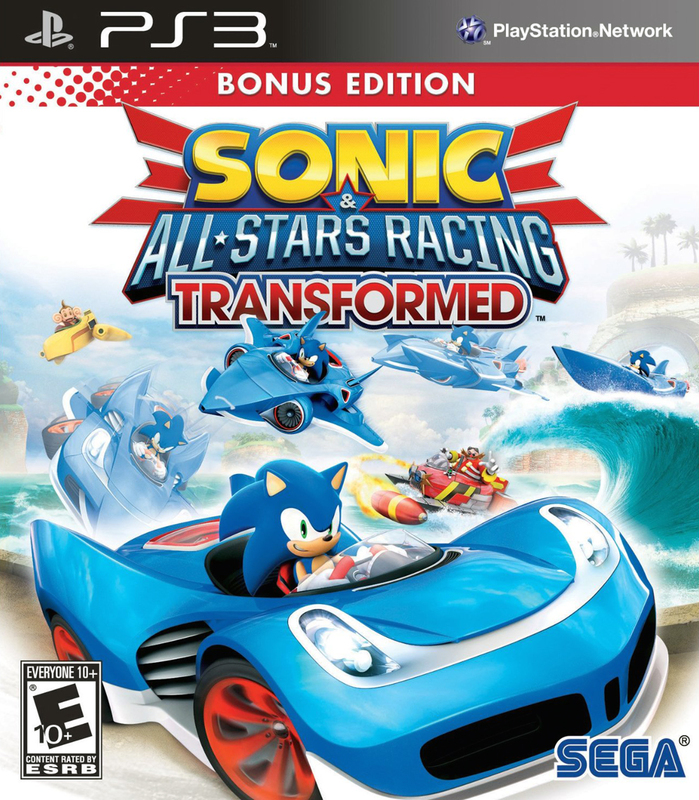 It may not be the most stylish game, but you would never mistake it for a last gen title. All of the character models are sharp and they really stand out no matter which stage you are on. I’m satisfied with the amount of stages as well as there are around 10-12 of them. Some of them even have gimmicks like a fog that will damage your fighter if you go near it. The soundtrack is pretty nonexistent. I suppose that it would have been pretty tough to have had a pretty memorable one alongside everything else, but it certainly would not have hurt. There aren’t any real battle themes either, which is odd considering that it is a fighting game. How awesome would it have been to have had the Digimon theme song for the first few seasons included during the battles? That would have definitely been a lot of fun! Surprisingly, there is no online capabilities in this game. I’m fine with that since it’s not the kind of game where I would play online a whole lot, (Madden and Smash Bros are really where I have fun online. Other than that, I typically stay local) but it’s still pretty surprising. Maybe they just didn’t think that enough people would be playing it right away to warrant a purchase of a few servers to run it on. Some of the trophies are a bit of a grind, but none of them are really that hard. Waiting for the 50 hours to show up on your PS3 may be the toughest part or collecting the Digi cards, but it’s only a matter of time. The toughest trophy to get skill wise is probably beating the game with every character, but I’m sure that you’re up to the task. I only need 13 trophies left so that should be a breeze. 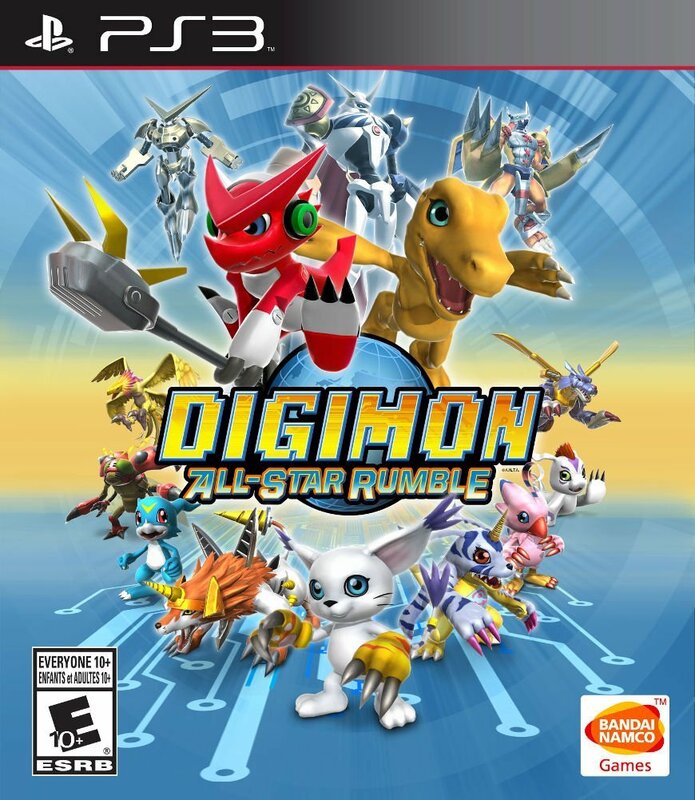 Overall, Digimon All Star Rumble is a solid addition to the Digimon franchise. The campaign mode is very short, but the multiplayer mode makes up for it. This gives it infinite replay value and that’s more than enough for you to be content. While the character roster may be pretty limited we do get fan favorites like Agumon and Guilmon. Old timers may be disappointed that some of the Season 1 stars were cut out, but maybe they’ll make the sequel. I’m sure that they would since a sequel would likely fill out the rest of the spots for the main characters from season 1 and season 3. No guarantees on season 2 of course, but those guys likely wouldn’t be missed quite as much. This is definitely a title worth obtaining if you want some solid action!